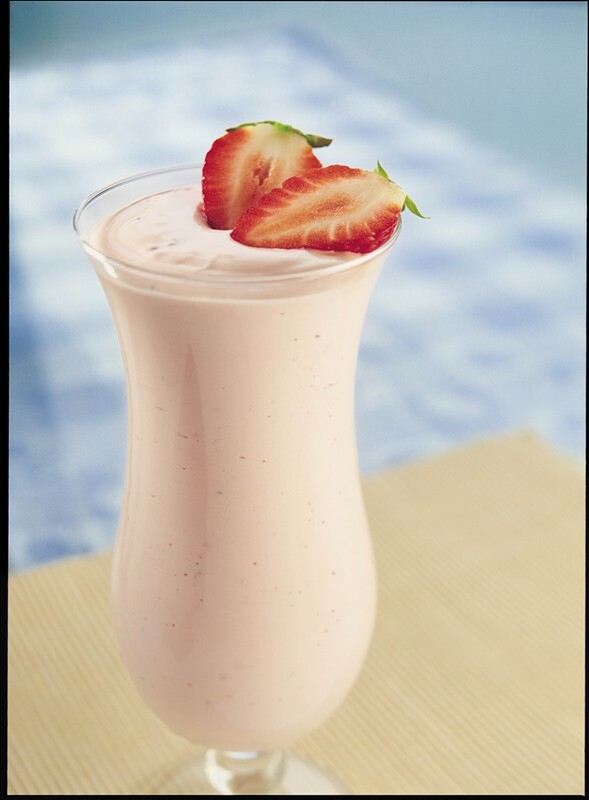 The most popular item ever published on this website is my original Super Smoothie Recipe. However, things have been stalled for almost a year due to the base protein and nutrient powder being out of stock while it underwent reformulation by its USA manufacturer, Douglas Laboratories. Perfect nutrition for all Kiwis on the go! Athletes, stressed workers, vegetarians, conception, pregnancy and nursing, children, students, while convalescing, the elderly and the injured. Vanilla is now back in stock, and the chocolate almond will be following shortly. The Super Smoothie recipe was inspired by the Sustagen diets that enabled sustained a hardy bunch of runners to trot almost non-stop all the way from Auckland to Wellington about 1972. That race was won by Max Telford who consumed up to 14,000 calories during a running day. My Super Smoothie is packed with the nutrients and calories that an athlete needs for sustained exercise and recovery and in a form that is easily and quickly digested. My Super Smoothie is ideal for anybody who needs to get nutrients into the body. Pregnancy, breastfeeding, convalescing after illness or injury, coping with chronic illness and combating the frailty of old age. The teenage growth spurt is a perfect time for a daily Super Smoothie. When taking the Super Smoothie daily there is little or no need for additional vitamins and mineral supplements, unless advised otherwise by a health professional. The Western lifestyle and food supplies are not at all vegetarian friendly. Being a successful vegetarian requires a putting a lot of time and money into food selection and careful preparation and the modern lifestyle makes this very difficult. Douglas Ultra Protein Plus's ingredients are designed for strict vegetarians, including vegans, and has a mix of nutrients and digestive aids that fill just about every nutritional gap a busy vegetarian has to deal with. Douglas Ultra Protein Plus is the perfect source of vegetable protein, vitamins, minerals and digestive aids for addition to a liquid meal. Take half to one scoop per day for all of your vitamin and mineral needs. Unless advised, you do not need more. Add one dessert spoon of Flax Original or Flax Balance and Flax Fibre if digestive health is an issue. You can purchase Frozen Berries, or berries from the super markets. Get the really dark berries and generally avoid "Smoothie Berry Mix" which tend to be poor quality berries. Wash the egg in warm, soapy water, or water with a tablespoon of bleach added and dry before cracking it open. This minimises the already tiny risk of salmonella infection. Add the egg towards the end of the blending of the mixture to minimise damage to the delicate eggs proteins. Add a little water, apple juice, yogurt, full cream milk, coconut cream - the lot - or whatever suits you best as a nutritious liquid to dilute the mix. Blend well, adding the egg towards the end of the process. Drink the Super Smoothie straight away since the fruit and berries will oxidise quickly if left for long, even if refrigerated. Are you a very special person? If you are an athlete seeking the "edge" over your competition, a person struggling with medical issues, such as chemotherapy, a vegetarian with digestion issues, pregnant, nursing, a rapidly growing child or a fragile elderly person, you may benefit from additional nutritional support. Contact me and I will help with working out how to get the nutrients you need to support your health and recovery. It is perfect for breakfast for the person in a hurry. If additional calories are required, then add some Weetbix, or porridge, and blend it in. This makes a ready made highly nutritious breakfast drink. If you are ill and having trouble eating or keeping food down, then a liquid meal may ideal. You may need to experiment with the ingredients, such as the egg which may cause some problems with people who have poor digestion. Have one half scoop of my Super Smoothie with the extras (egg, flax oil, berries, etc) for your breakfast. This will easily keep you going through to at least morning tea. At morning tea make up one full shaker (~700ml) using one scoop of my Super Smoothie with nothing else other than water. Have one glass of this before you eat or drink anything else (and only have something else if you really need it). That extra could be a few nuts or a piece of fruit or carrot for example). Put the shaker with the remainder of the Super Smoothie in the fridge. Have another glass of Super Smoothie at lunchtime before you eat anything else. Have another glass at afternoon tea time then polish off any remainder before home time. Have only a small meal in the evening. If you have the urge to snack then make a small drink with a couple of teaspoons of my Super Smoothie. Protein and nutrient supplementation reduces wasting during serious illness like cancer. It has been shown to bolster the immune system. Many elderly are so nutrient deficient that even an extra daily chocolate milk drink may improve the health of an elderly person! My Super Smoothie is much, much better than that! . (Without the added extras for athletes). During a growth spurt - plus school sport etc - the need for rich supplies of nutrients skyrockets. My Super Smoothie with the Douglas Ultra Protein Plus will do the job. Give it as a treat between meals, including as an after school snack. If you have a "picky eater" in the family, if you can get just half a scoop of Douglas Ultra Protein Plus into them once a day, then you are on the way to having their nutritional needs covered. Take one Super Smoothie about 2 hours prior to a training session or contest and within an hour of finishing. It can be used to fortify meals, replacing unhealthy desserts and snacks. The more nutrient-packed food that is consumed, the more one can train and the better the recovery. The Super Smoothie with Douglas Ultra Protein Plus is perfect for recovery between competition in a tournament event that requires intense effort several times a day and/or over several days. It also perfect when doing endurance events that go on for many hours, such as 24 hour runs or bike rides. When using the Super Smoothie for this kind of purpose, reduce any ingredients that may slow digestion or cause premature bowel activity - The egg and the berries and possibly the flax oil. It is recommended that you use the Balance Recovery Stack to aid recovery and hydration. I like to use ultra protein as the base and then add small amounts of other nutrients, such as whole milk powder, greens and reds and even some whey protein, for nutrition during very long events, or when doing multi day hikes. This formulation is very quick and easy to digest. It can be mixed at home and divided up as individual servings in sealed plastic bags. All that is then needed is a light plastic decanter and some water which you can get along the way. The Super Smoothie servings can be quickly mixed and drunk and goes well with snacks, like dried fruit. Lightweight and packed with nutrition! It depends. Take in a cup or two worth of Super Smoothie about every half hour to one hour (How much and how often depends on the nature of the physical activity, including the intensity and duration) so that there is a process of continual digestion. Just be aware that the higher the physical effort, the slower the digestion. This is further complicated when running because the gut slaps back and forth. Cycling and kayaking make for much easier digestion, so if it is a multi-sports event, most of the eating and drinking is during the cycling and kayak legs and much less so during the running. If there is a lot of sweating, then drink plain water about 20 minutes into the Super Smoothie and about 10 minutes before the next Super Smoothie. Practice and Practice and Practice! If you plan to use the Super Smoothie in competition, or anything else for that matter, then you must practice using the exact formulation over and over again in training. You should also enter less important events and test the formulation under real race conditions. Keep tweaking the recipe so that you get it perfected to suit your special digestive quirks. If the conditions are cold, make up the Super Smoothie more concentrated. If the conditions are stinking hot, then you make the mix much more dilute so that there is more water taken in during any hour. Drink between Super Smoothies as required. What else is needed for optimum nutrition? Other than the Super Smoothie and a balanced diet, little else is needed by all (Athletes, the elderly, the infirm, teenagers, vegetarians and so on) for super nutrition. That's all! Of course, there are people with very special needs that require special diets, that the advice on this page simply won't suit and I will do my best to assist if contacted. Some people worry about getting fat, others want to lose fat. Others want to pack on the muscle. Everyone wants to be properly hydrated. An effective nutrition programme will optimise body fat percentage, lean muscle, bone and body hydration. The most convenient way to do this is with the Salter 9106 Body Composition Scales. These are remarkably accurate and very motivating. I am selling these well under their retail price of NZ$140. I want all of my clients to have one in their home. I want them to see the benefits of following my advice about health and fitness. I want them to share their body composition results with me, no matter where in the world they live, so that I can help them further and do so on the basis of useful and accurate information. Got the idea? Well, what are you waiting for? Go for it!